You love your WordPress blog because you’ve been able to easily get your content onto the web without knowing a bit of HTML. You wouldn’t know a closing tag (or an opening one for that matter) if it jumped up and spit in your face and you LIKE it like that. Unfortunately, the ugly truth is SOMETIMES you need to know a little HTML in order to create the sidebar widgets with images in WordPress – and that’s the problem. Learning a little bit of HTML is kind of like trying to unravel a dozen necklaces whose chains have become tangled to the point of forming a big ball. All you want is one single necklace – but you have to unravel them ALL just to get to that single necklace. That’s why I never recommend anyone try to learn HTML just to create sidebar widgets in WordPress. What you need is an EASY way to get that ugly HTML into your sidebar widget without learning how to code in HTML. What you need is the Easy HTML Sidebar Widgets in WordPress Tutorial. With literally hundreds of clients using WordPress blogs – I’ve had more than a couple of requests to create a sidebar widget for my clients who fear HTML. It didn’t take long for me to get to work figuring out a way that my HTML fearful clients to insert images into their sidebar widget without my assistance. You don’t have to know how to code in HTML to include images in the sidebar of your WordPress blog. Now ANYONE can feature those nifty RSS subscription buttons in their sidebar. Anyone can promote their ebook and proudly display their ebook cover design. 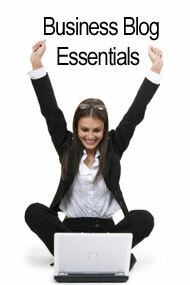 The sanity saving ebook is offered exclusively to Acumen Web Services clients.